Maybe you've heard rumblings at your local watering hole that your favorite bartender just won a competition and that winning drink is now legendary at said watering hole, a secret order for those in the know. But what is it with all these competitions exactly? 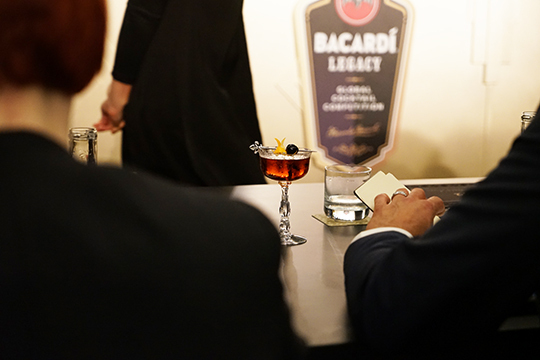 Every year it seems like another one is created, luring more and more bartenders to enter the competitive circuit. 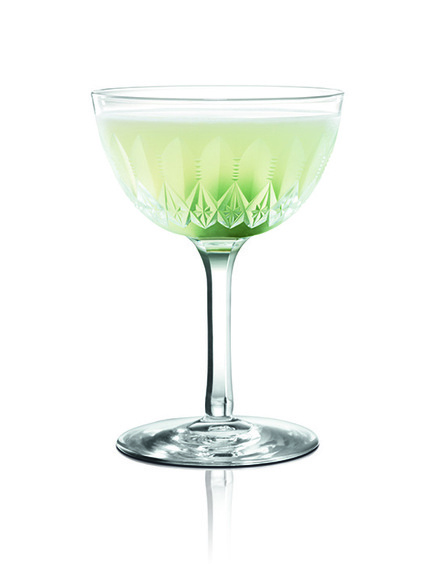 For those not trolling the bartender competition notice pages, the most renowned cocktail competitions include Diageo World Class, Bombay Sapphire World's Most Imaginative Bartender, and Bacardí Legacy. I was recently invited to Sydney for the Bacardí Legacy Global Finals, an overwhelming event to say the least. 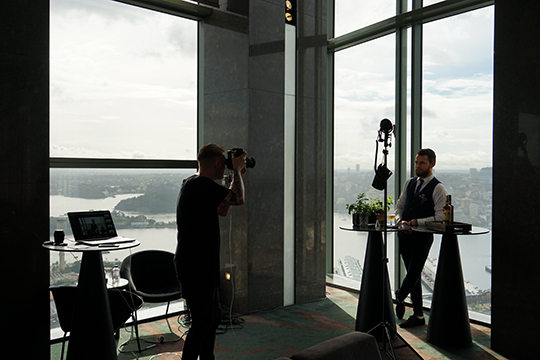 It was my first bartender competition, so I came in a little cynical and not knowing what to expect, whereas other writers who live on the competition press circuit seemed to know all the rules and many contestants from previous events. The biggest question is, why would a bartender enter a competition? Exposure, of course. Competitions are the fastest way for up and coming talent to get their names out there, and winning opens doors for further opportunities such as brand ambassador positions or being invited to parties and events. Naturally, some bartenders enter the same competitions year after year seeking victory, and travel from one to the next in search of the big 'life-changing' win. 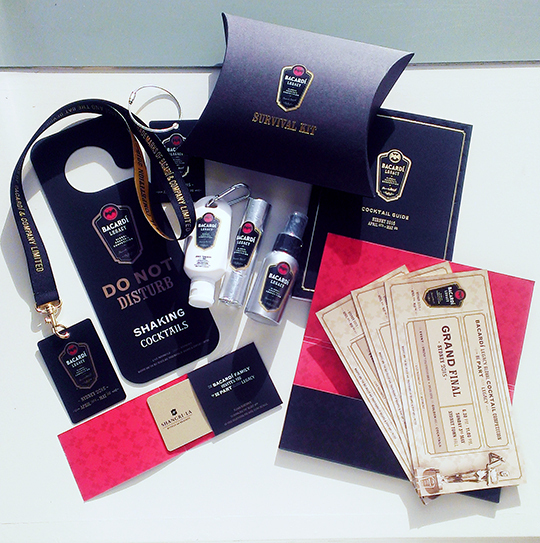 For others, Bacardí Legacy was the first taste of what fame might feel like - photo shoots, interviews, and international plane tickets. Alissa Gabriel of Australia Algirdas Mulevicius of Lithuania The Bacardí Legacy competition challenges bartenders to create a cocktail that will "stand the test of time" - a classic that could rival Bacardí's beloved Daiquiri. Bartenders have seven minutes to make their cocktail, whilst showing off just enough bartender flair to make the judges swoon, and to present the inspiration for their drink. This usually includes an over-wrought tale of family loyalty (relating to the family of Bacardí, natch), the homeland, or some other sob story which frankly distracts from the drink itself. Yes, tears were shed on that gilded stage. 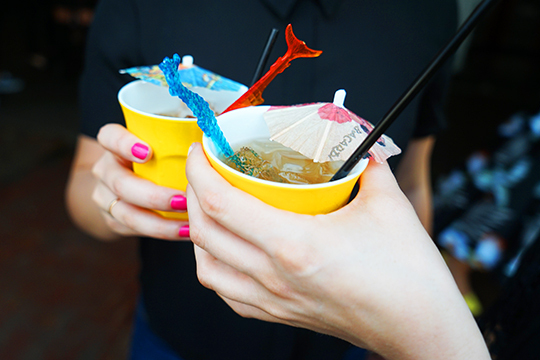 The cocktail is then presented to the judges who taste the drink, assess it based on the name, the technical skills of the bartender, aesthetics (read, garnish game), ingenuity & innovation, inspiration, product knowledge, and its ability to stand as a classic cocktail. It should be noted that the audience does not taste the drink. Father's Advice - Ready for Judging Before the Semi-Finals were held in Sydney, all of the bartenders were filled with nervous energy - prepping for their presentations, rehearsing their lines, fixing eyeliner and straightening ties. They all seemed to walk a little taller - champions of their own country. Ran Duan of The United States of America The Semi-Final announcement was made over a grand dinner at the Sydney NSW Art Gallery, and the finalists included France, China, Lebanon, New Zealand, Ireland, South Africa, Singapore, and Greece. Again, tears were shed. 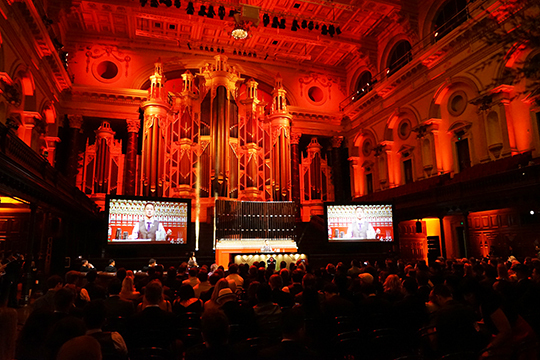 Finals were held at Sydney's Town Hall, where the stage was set beneath a monstrous organ cloaked in red lighting. Surely, the finalists must have felt like heroes on that stage, flanked by enormous screens and surrounded by heroically lit Bacardí bottles. 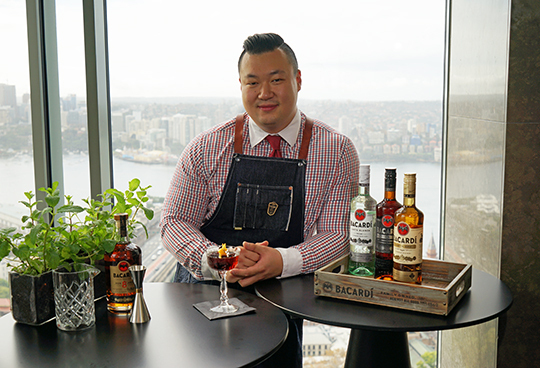 Chua Zhibin Peter of Singapore The 2015 winner was Frank Dedieu of France, who created a cocktail called 'Le Latin' made with Bacardí Carta Blanca, Viognier wine, lemon juice, olive brine, and sugar, inspired by his wine making family (and of course, the Bacardí family). In the weeks following the competition, Dedieu has returned to his home bar "Redwood" located in Lyon with much fanfare. "My friend and business partner organized a big party, [and] I have...[celebrated] my victory with my family in the south of France in Montpellier. These moments of happiness with family and friends are priceless", Dedieu shares. 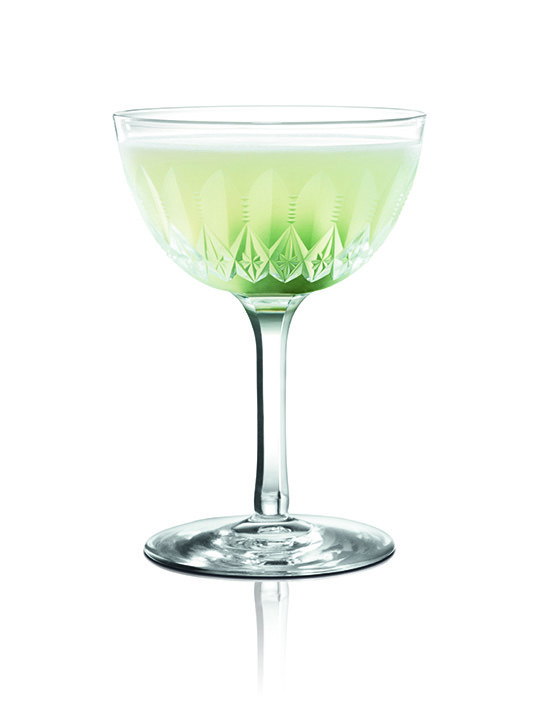 Le Latin by Frank Dedieu Because cocktail competitions are a relatively new phenomenon, we have yet to see the true impact that winning a competition can have on a bartender's career. Some winners have gone on to create names for themselves, but many are forgotten. Only time will tell what Dedieu does with his victory. 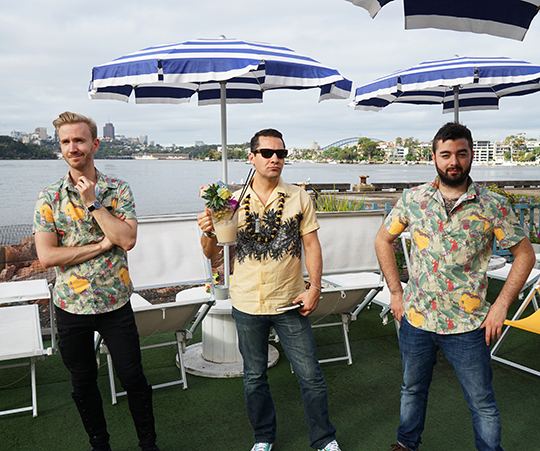 The following day, Bacardí sponsored a party for all of the bartenders on Cockatoo Island, a casual Tiki BBQ - a party that Bacardí has mastered. 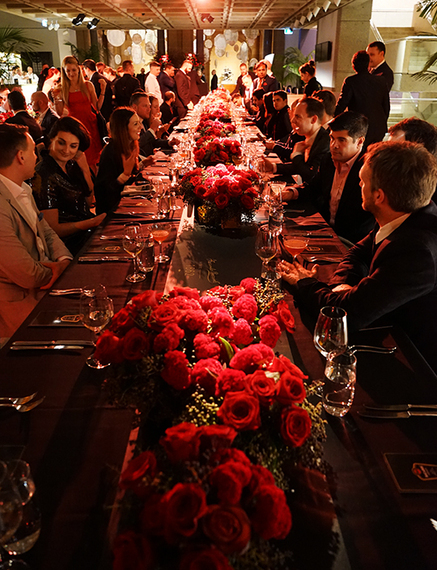 Gone were the ties, the vests, the party dresses, and the carefully styled facial hair. The finalists were relaxed, no longer on edge nor eying their competition, instead they were friendly and enjoying the moment. 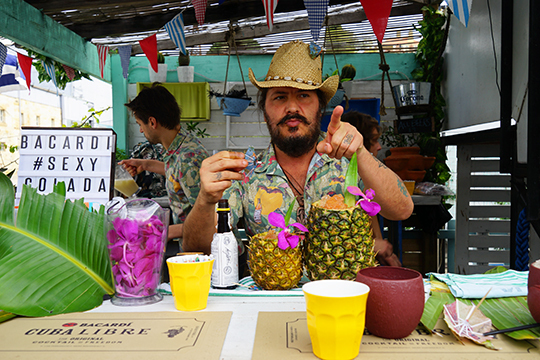 David Cordoba, Bacardí Global Ambassador Flanked by Competitors Daniele Dalla Pola of Nu Lounge Bar in Bologna Rum filled pineapples were sipped, bottles juggled with suave flair, and the whole experience became crystal clear to me. 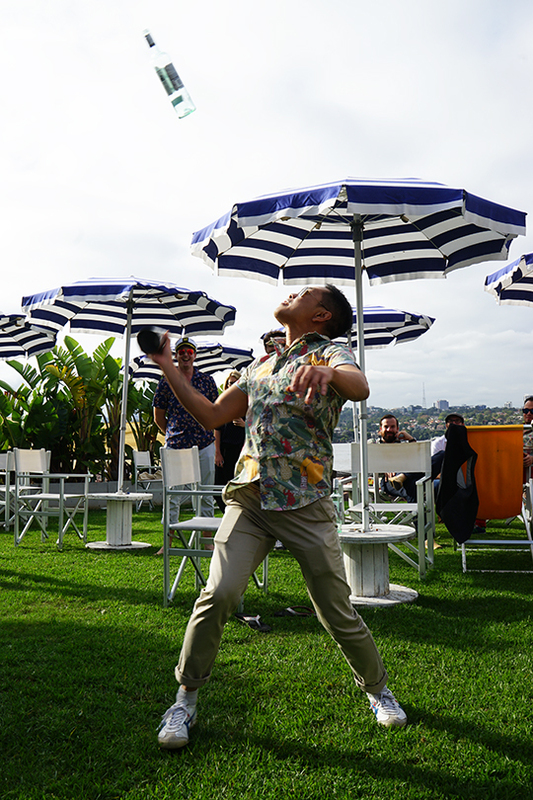 These competitions are more than just a big branding opportunity - they are an incredible way for talented bartenders to meet other talented bartenders, share ideas and tricks of the trade, they inspire contestants to develop their craft, and to develop mentorships with brand ambassadors who once started behind the bar. 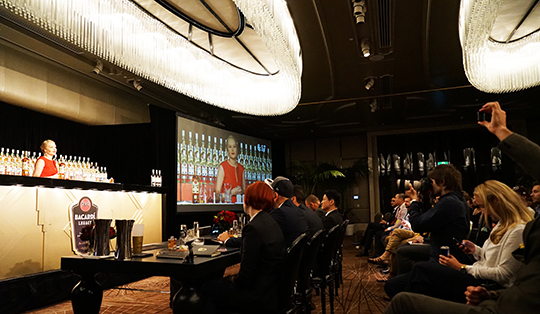 These competitions create a vision for what other opportunities exist in the world for a bartender, and they motivate people to shape their own careers. Most importantly, a great competition creates amazing experiences that bring people together, and that is how you create loyalty. 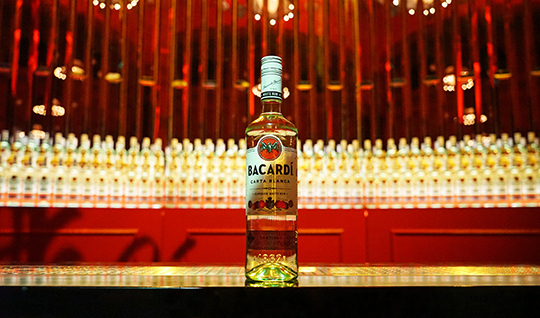 So - next time you order that secret cocktail at your local watering hole and it's proudly made with Bacardí - now you know why.